In November of 2012 I posted a blog with a title that posed a question: "Is Smarthistory the Art History Textbook of the Future?." At the time, it seemed to me that Smarthistory, which describes itself as a "multimedia web book about art" had almost developed to the point that it could almost replace, rather than supplement, a standard art history textbook. Now, two years later quite a bit more content has been added I think Smarthistory has hit critical mass. I think it truly can replace standard high school and college texts for a variety of widely taught survey courses in art history and art appreciation. Smarthistory now provides workable online syllabi for several courses, and I have made up my own "Virtual Art Appreciation" text using Smarthistory in combination with other free and open resources. The list of resources below are here for you to inspect and consider. If you are a K-12 teacher or college professor, please consult your institution's curriculum guidelines, and your supervisor before you consider going textless. Please also keep in mind that these resources need to be properly integrated with your other resources, lecture content and evaluations. I will leave it up to you to vet these materials to make sure they meet your standards. 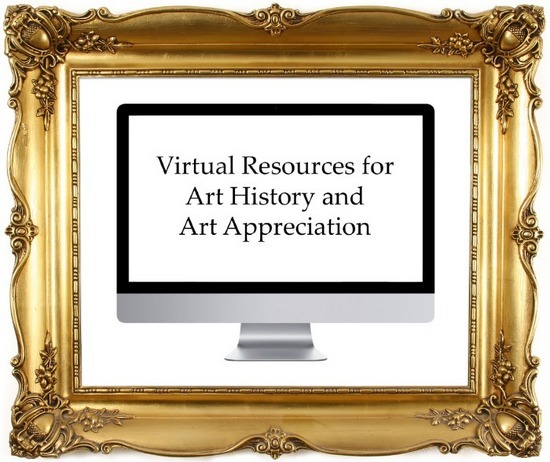 Because these resources tend to be links that lead to links, I am keeping this blog short and will leave to you to let it lead you to the vast and growing riches of the online world of art history.